Big business thrived in the first two years of the Trump administration, as President Donald Trump is fond of noting. That was due in part to new policies, including a major corporate tax cut and looser regulation. The 2018 mid-term elections left Washington divided, as Democrats gained a majority in the House of Representatives, while Republicans expanded their dominance in the Senate. So what do the results mean for the business world? This autumn, the House of Representatives approved a new round of tax cuts, building on the overhaul passed in 2017. The plan stood little chance in the Senate, but President Trump embraced the idea on the mid-term campaign trail. Now, with Democrats in control of the House, most analysts say those plans look even more unlikely. However, that’s a bit of a relief for Wall Street. Though the business world cheered the 2017 tax cut – which slashed business taxes from 35% to 21% – they were worried about what further tax cuts might do to the US debt load. Time for more spending on infrastructure? 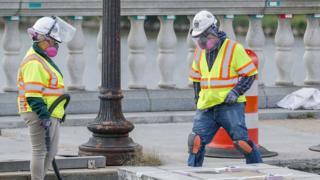 Wall Street has been hoping for a big infrastructure spending bill since 2016, when President Trump emphasised the issue during the campaign. New funds haven’t really materialised, but analysts are hoping a divided Congress provides an opportunity to refocus on the issue, one where Republicans and Democrats could potentially agree. Business leaders tend to like infrastructure spending, which spurs economic growth and fits conservative principles about the proper role of government. However, despite talk this week from leaders in both parties about the opportunities for compromise, we’re still a long way from a deal. After all, President Trump warned that bipartisanship will be doomed if Democrats aggressively investigate his tax returns, ties to Russia and the like. President Donald Trump’s trade tariffs are unpopular on Wall Street, where they’re viewed as a drag on global growth, a disruption to supply chains and an added cost to business and consumers. But the issue was not a high priority for voters. 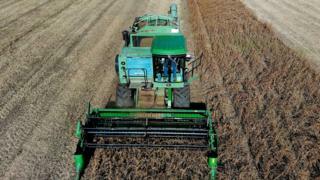 Republicans even picked up seats in some states, such as Missouri and North Dakota, where farmers face losses as a result of other countries’ retaliation against their exports. Mr Trump might yet opt for deals with the European Union, Japan – even China – that remove the tariffs. But the hope in some quarters that the retaliation might increase the pressure on him to do so has probably dimmed. So what was a priority for voters? Health care. 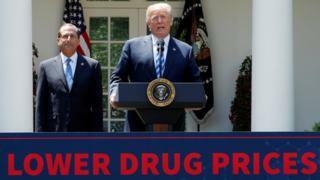 That could push politicians to craft legislation that would reduce drug prices, an issue that has been a popular talking point for both President Trump and the Democrats. Change would face fierce industry resistance, even assuming the two parties could reconcile their fairly different approaches to the issue. For now, shareholders don’t seem too worried. 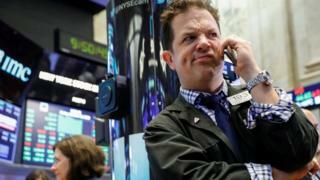 Shares in health care firms were up more than 2% on Wednesday. In San Francisco, voters backed a special tax on companies with more than $50m in revenue to fund initiatives against homelessness. Salesforce boss Marc Benioff had championed the measure, which was opposed by leaders at Twitter and other tech companies. But a similar proposal in Seattle was defeated earlier this year, after opposition from Amazon. Business issues appeared on state ballots around the country. In some cases, the results confirmed pre-existing trends. Voters in Missouri and Arkansas moved to increase the minimum wage, joining dozens of other states that have approved increases in recent years. Missouri and Utah legalised medicinal marijuana, while Michigan approved broader legalisation, bringing the number of states with some degree of legalisation to 33. On other subjects – such as the environment – the US remains divided. In Nevada, voters backed measures requiring more energy to be derived from renewable sources. Florida also banned offshore drilling, while California left in place a petrol tax. 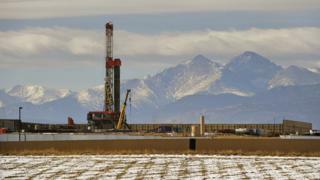 But Colorado voters rejected a measure that would have limited sites open to fracking, while a Washington state proposal to tax carbon emissions was defeated. Arizona also voted against requirements for utility companies to get more of their energy from renewable sources.